With submissions to the Davies Airport Commission coming in thick and fast some readers have been in touch to ask what Heathrow’s expansion plans or even its closure would mean for the Windsor Link Railway. This is Heathrow Airport Limited’s favourite option. Many people, however, think this is difficult because it would involve moving or over the M25. Interestingly, from a rail access point-of-view, it would also take the new runway over the existing Windsor line to Waterloo. 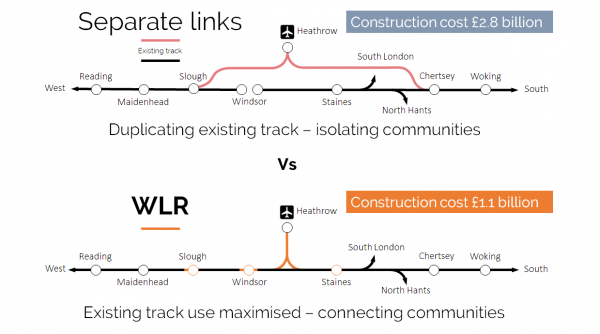 This could make a separate westerly rail connection to Heathrow redundant because the airport boundary would already include a main line railway with links to both the Great Western line (via phase 1 of the WLR) and the southern region. However, if terminals 5 and 1 remain the main terminals, phase 2 of the WLR remains the best option for linking to the north and south. This is Heathrow’s second favourite option but again suffers from the obstacle of moving or building over the M25. From a rail access point-of-view, it would make the Heathrow Hub relatively more attractive. However, this would still be very expensive and suffers from the same problem that the direct link to Slough does, in that it does not help people to the south of the airport. By contrast, phase 2 of the Windsor Link Railway would still be the best and cheapest option here. Here Heathrow is kept open but any expansion is at other London airports. In this case good rail access from one airport to another becomes even more important. The Windsor Link Railway helps this by putting the airport on through routes, rather than being on a branch or loop line. For example, with phase 2 of the Windsor Link Railway, it would be relatively easy to run direct trains from Basingstoke to Stansted via Heathrow or from Maidenhead to Gatwick via Heathrow. Both these options would not only improve access to Heathrow but also grow the market by making it easier to transfer between airports. This may not be as good as a single hub but would go some way to addressing the criticisms of a multi-hub model whilst also making the market more competitive. This is as proposed by the Mayor of London, Boris Johnson. Some argue that this would be devastating for the economy of the Thames Valley and many international companies such as Microsoft have declared that they would leave the UK if this were to happen. However, if it were to happen, proposals such as extending HS2 to Heathrow or the direct link from Slough to Heathrow would become even more so white elephants. Because they do nothing for improving local transport they become useless without Heathrow. Again, by placing Heathrow on through routes, rather than a branch or a loop, the Windsor Link Railway not only makes for easier transport if Heathrow stays but also if it goes. WLR would still provide useful extra capacity into London (e.g. 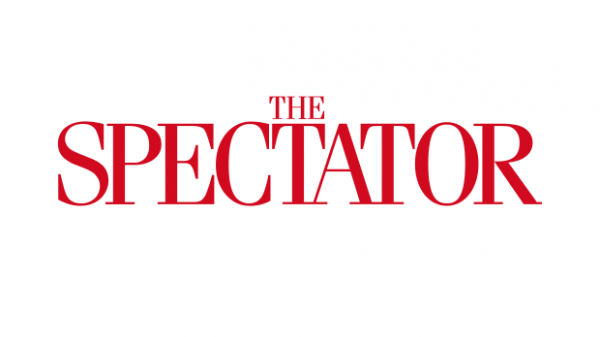 for Ascot to Paddington or Basingstoke to the HS2 terminal at Old Oak Common) as well as better links to other airports or a new hub to the east.